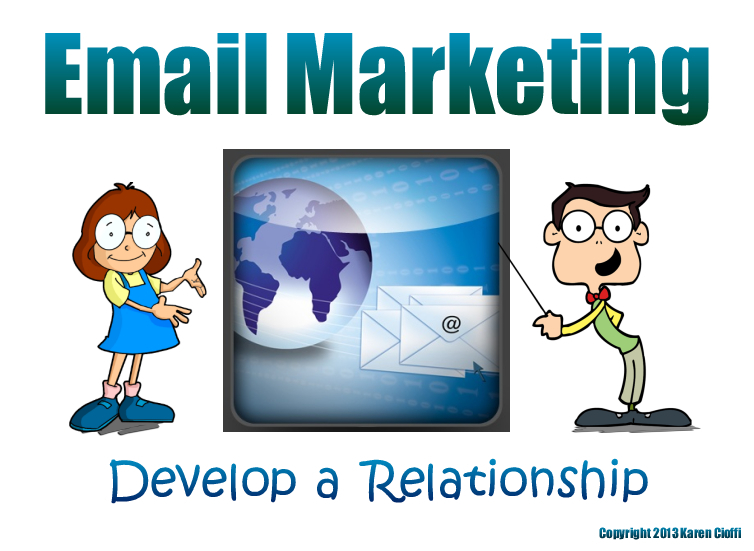 Writing powerful email messages is a primary way to market and sell what you’re offering. The foundation of your email marketing strategy, building your email list, is to sign up with an email service provider, such as Mail Chimp or iContact. The service will provide an autoresponder tool. This will allow you to send your subscribers automatic messages – ones that you create and put in place. Once you have your service in place, it’s time to write your powerful email messages. To start, you’ll want to write a minimum of 10 emails. This will be your initial autoresponder series. The very first message in the series will be the Welcome Message the subscriber automatically receives after signing up for your mailing list. Since the welcome message is your first email contact with a person who felt that your ethical bribe was valuable enough to give up her email address and a person who you want to develop a relationship with, you need to make it count. The Welcome message is your #1 step to creating email messages that work. For this reason, you’ll need to make it powerful. The welcome message, as mentioned above, should be sent to the subscriber automatically, as soon as he signs up. This would be considered Day Zero. It’s a good idea to keep track of the responses you get to your welcome message. If you find there aren’t any clicks or purchases (if you’re offering a one-time-only offer) with the welcome message, try revising it. You might also offer a different offer or eliminate it all together. As with all your marketing efforts, you need to test the waters, analyze and revise until you find what works for you. TIP: Keep in mind that you set the tone of your emails with the first one, so do some research. See how the pros do it. Subscribe to several heavy-hitter lists and analyze how they execute their emails. Use these tips to create your own powerful email messages, ones that fulfil their purpose. I hope you found this information interesting and helpful. Too advanced, not enough, just right? I’d really love to know, so please leave a comment – good or bad. Karen! This is a great tip. I did not consider it. But a Thank you to new and old subscribers is wise business sense. Especially now that my subscriber list is growing. Jackie, glad you found the article helpful. And, yes, it's very important to show appreciation and thanks to your subscribers (old and new). Thanks for stopping by!